This is a correspondence to introduce you to the Military Order of the Purple Heart and our First Responders Program. 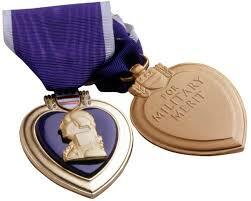 The MOPH is an organization of combat wounded veterans who have been awarded and proudly wear the Purple Heart. The purpose of the First Responder Program is to similarly honor Law Enforcement Officers and Fire Fighters who are Killed or Wounded in the line of duty with a plaque of recognition. While they cannot receive the Purple Heart Medal, these distinctive plagues convey MOPH’s respect and appreciation for each First Responders sacrifice. The program is administered by the National Public Safety Officer who is working with Department and Chapter commanders to expand the program throughout the nation. There are two different plaques: One is a memorial plaque for a First Responder Killed in the Line of Duty. The other plaque is for a First Responder Wounded/Iniured in the Line of Duty. It is preferable that the award be presented within one year of the qualifying incident. First Responder plaques are limited to First Responders who are shot, stabbed, beaten, or those Iniured/Killed during a criminal incident or fighting a fire. The National program does not award First Responders for less direct circumstances, such as being killed or iniured while responding to a situation or while, in case of police, in pursuit of a felon or, in case of firefighters, enroute to or returning from a fire. Individual Chapters or Departments may present such awards to local Responders they wish to honor.